The patient has an advanced life-limiting illness with complex symptoms or complex emotional, social, spiritual needs requiring the input of the specialist multi-professional team. Referrals are normally made to St Margaret of Scotland Hospice from the patient’s Hospital Consultant, General Practitioner or Community Nurse. To access any of the Care services offered at the Hospice, a Referral Form must be completed and returned. An incomplete referral form may delay the admission process. A Hospice referral form can be Downloaded here. Completed forms can be faxed to the secure line 0141 951 4206. Please ensure adherence to NHS MEL Guidelines 1997 on faxing of confidential information. 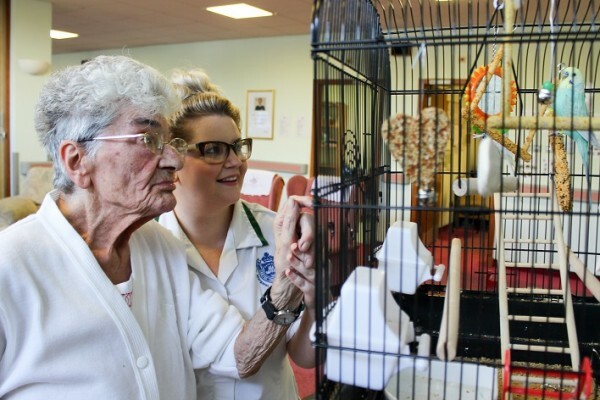 Our approach to providing care is holistic, taking into account the uniqueness of the individual and the spiritual, physical, psychological and social needs of both patients and their carers. A multi-professional team approach to providing care is undertaken within the Hospice. 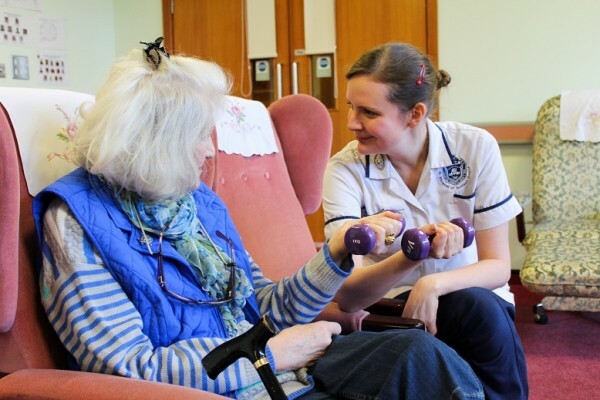 The multi-professional team comprises nursing and medical staff, physiotherapists, occupational therapist, pastoral care staff, counsellors and complementary therapists. Following assessment by appropriate members of the multi-professional team, an individual plan of care is formulated in conjunction with the patient and carer. This plan of care is continually monitored and reviewed. The aim of the care is to improve quality of life and allow rehabilitation within the limits imposed by the patient’s illness. This is achieved by providing effective symptom management and attention to the physical, psychological, social and spiritual well-being of patients and their carers. Hospice staff liaise with the patient’s General Practitioner or Hospital Staff regarding arrangements for admission. The General Practitioner or Hospital Staff are responsible for arranging patient’s transfer to the Hospice. Patients and/or carers may visit the Hospice prior to admission. However, a prior appiontment must be made. Many of our patients return home from the Hospice following a short admission. 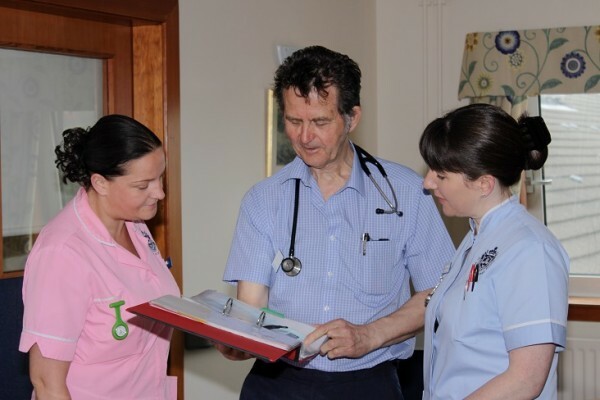 To facilitate a discharge home, Hospice Staff liaise with the patient’s General Practitioner and, if required Community Nurses and Social Services, to ensure services are in place to support the patient and family at home. Patients may receive incoming telephone calls. Relatives/carers should telephone the ward in the first instance and the call will be transferred. Communication by email can also be arranged with the Nurse in Charge. Our physicians are committed to the medical care of the patients 24 hours a day. They work closely with the nurses and are very valuable members of the multidisciplinary team. Our physicians respond very quickly to the changing needs of the patients and are dedicated to ensuring patients are admitted to the Hospice as soon as they require, particularly in emergency situations. The doctors embrace the Mission Statement and Core Values and this is always reflected in their work with patients, their families and team members. Our 28-bedded unit dedicated to the continuing care of the older person requiring complex medical and nursing care. However, patients can only access admission to the Mary Aikenhead Centre via a referral from the Consultant Geriatrician at Gartnavel Hospital. The aim of care is the same as outlined in detail regarding St Joseph’s Ward and is based on the philosophy and Core Values of the Sisters of Charity. 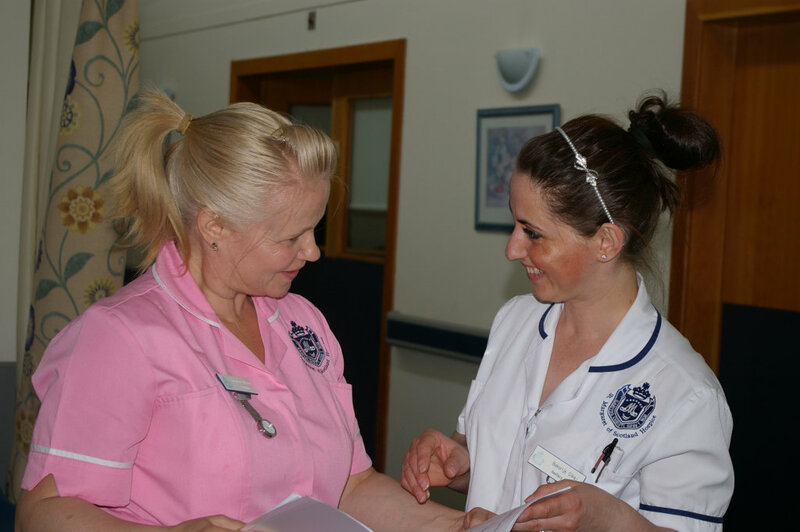 Hospice Staff liaise with the Hospital Staff regarding arrangements for admission. Hospital Staff are responsible for arranging patients’ transfer to the Hospice. Patients and/or carers may visit the Hospice prior to admission. However, a prior appointment must be made.